The current price is 51800 Euro. 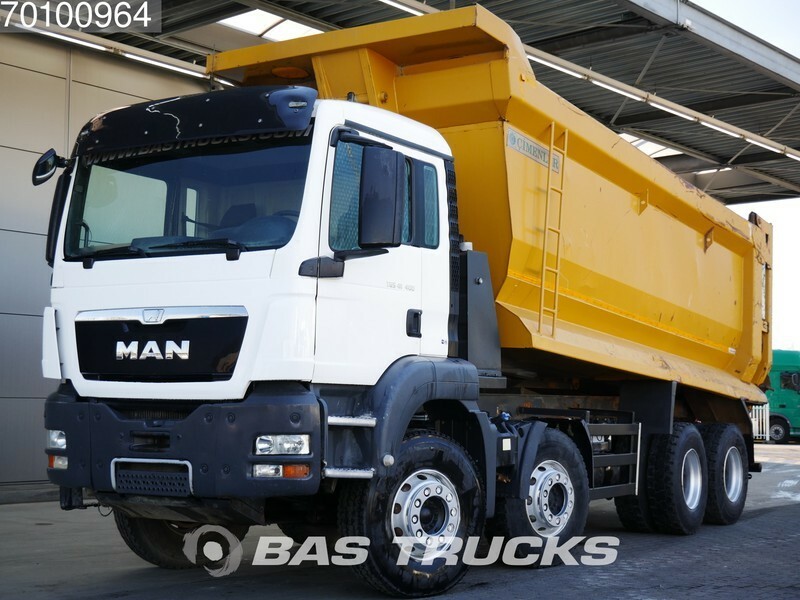 Check the technical data of the unit, picked out from the catalog of MAN TGS 41.400 tipper. Engine/driveline: Euro 5, diesel, 400 hp, gearbox: manual, transmission: Schaltgetriebe, 16-Gang, power take-off. Wheel formula and suspension type: front axle suspension, 8x4, number of axles: 4, wheel base: 4800 mm, brakes: drum, front tires: Achse 1: 13 R22.5, 30% / Achse 2: 13 R22.5, Links außen: 20%, Rechts außen: 80%, rear tires: Achse 1: 13 R22.5, Links außen: 40%, Rechts außen: 30% / Achse 2: 13 R22.5, Links außen: 70%, Rechts außen: 40%, fuel tank: 400L. Cab comforts include cab model: M, fog lights, sunvisor, air conditioner, cruise control, radio. Body: loading length: 6500 mm, loading width: 2250 mm, loading height: 1900 mm, rear tipper. The payload is 22950 kg.